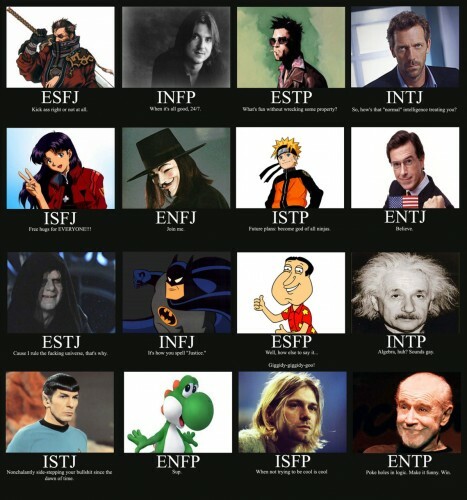 I’ve blogged previously about the Myers-Briggs personality test (more here). It’s a framework that I use often, both at work and at home, and I’ve found it very helpful. In fact, of all the things I learned at business school, this is in the Top 3. I periodically Google my type, the ENTJ, to see what’s new out there in the literature. I came across the graphic below and found it funny, and so, I thought I’d share it. Rock on, all you ENTJs! We are only 2% of the overall population, and we gotta stick together. Wow – only 2% are ENTJ? I thought that was one of the most common profiles (maybe that was just the b-school subset)? Yes, in my b-school section of 89 folks, there were only 5 ENTJs.